On Sunday, I decided that things in the garden had gone too far. My deciduous hedge was slapping me in the face with a wet branch every time I went to the shed to get the bird food. I’d been allowing the stinging nettles to do their thing in a quiet corner, but they had busted out and were popping up all along the path, patinating my ankles with blisters. The branch on the whitebeam was so low that my husband nearly brained himself everytime he went to collect the washing. A little judicious, gentle pruning and a modicum of cutting down and pulling up was required, just to make the garden habitable for people, plants and animals. I went to collect the green wheelie bin for the bits that we couldn’t compost or put in the log-pile. It lives in the dark alley at the side of the house, which attracts a wide variety of volunteer plants: Yellow Corydalis and Greater Celandine, Buddleia and even an intrepid Foxglove. But as I got to the darkest, dreariest part of the path, a little plant glowed up at me as if lit by moonlight: a Mexican Fleabane. 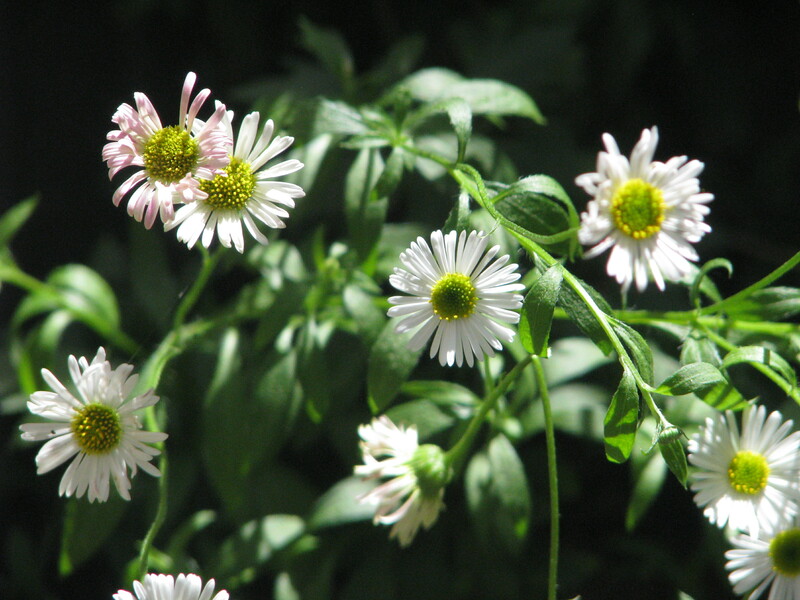 The flowers of this little plant are very similar to those of our native daisy, but it has very different habits. 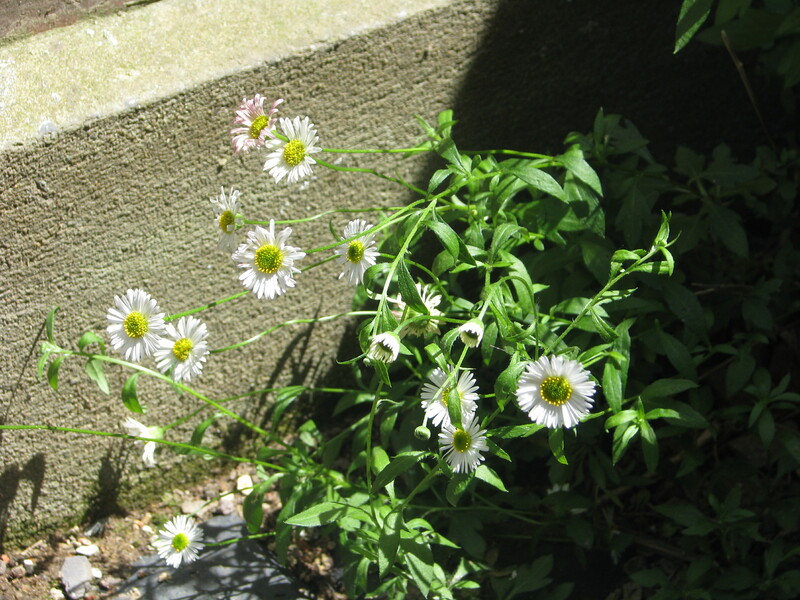 While our daisy is low-growing and short-stemmed, keeping its head down to avoid the blades of the mower, the Mexican Fleabane is straggly and dangly, and is most at home in tiny pockets of soil. In some parts of the country, it can be seen clinging to the gaps between the bricks in a wall, tumbling down like a floral waterfall. Like so many of the plants I’ve discovered, it has come a long way. It was named after a Hungarian botanist and explorer with the magnificent name of Baron Wilhelm Friedrich Karwinski von Karvin (von Karvin Karvinski). He found his sample plant in Oaxaca, Mexico. It arrived in the UK some time during the nineteenth century, and promptly ‘escaped’. Today, it is found on the west coast of North America, all over Europe and even in Japan, where it is categorized as an undesirable alien. One person’s dangerous weed is, as always, someone else’s desirable garden plant, and indeed, if you fancy a Mexican Fleabane for your garden, the online garden centre Crocus will provide you with one for 7.99 GBP. When I look at this plant, it makes me ponder on why we call somebody ‘weedy’. Are we complimenting them on their adaptability, toughness, resilience and savage beauty? Sadly, we are usually talking about a young man who has grown a little too tall for his girth, someone who is always picked last for the soccer team. 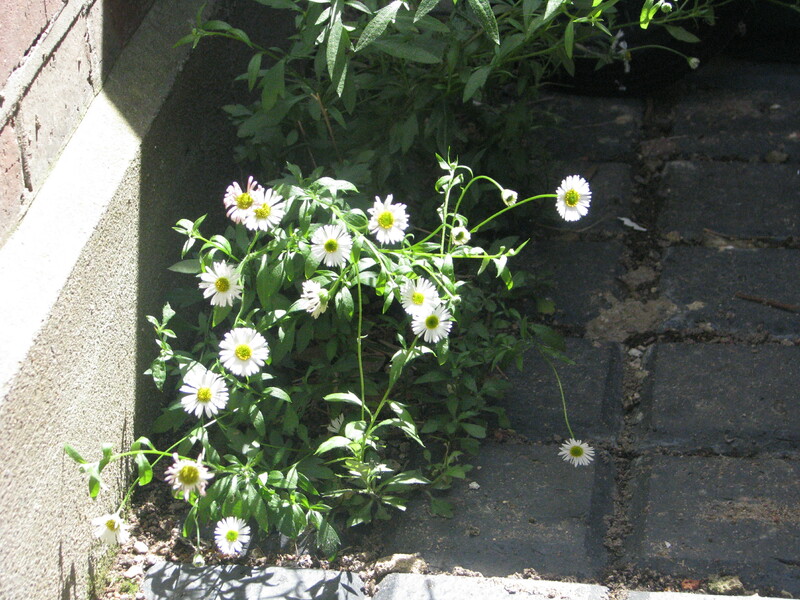 I suppose that the Mexican Fleabane is a typical ‘weed’ in this regard – it is a droopy, unassertive little plant, a literal ‘wallflower’. Like many a human ‘weed’, however, it has the last laugh, having quietly succeeded in populating most of the planet where more aggressive, obvious plants have failed. Furthermore, it appears that it is not called ‘Fleabane’ for nothing. In less hygienic times, dried fleabane would be put into mattresses to deter biting insects, and it has been suggested that the same can be done today in the beds of dogs and cats to keep the fleas away. Certainly it’s worth a try – I know that Roundup and such chemicals work, but I always worry about how they work, and whether they have any deleterious effect on the creatures that they are used on. If any one has a go, do let me know! So, in my brief stint of tidying up, I managed to discover a new plant. I will be delighted if it spreads – a bee was investigating the flower as I left to write this piece. I might even give it a little encouragement. This entry was posted in London Plants on June 11, 2014 by Bug Woman. 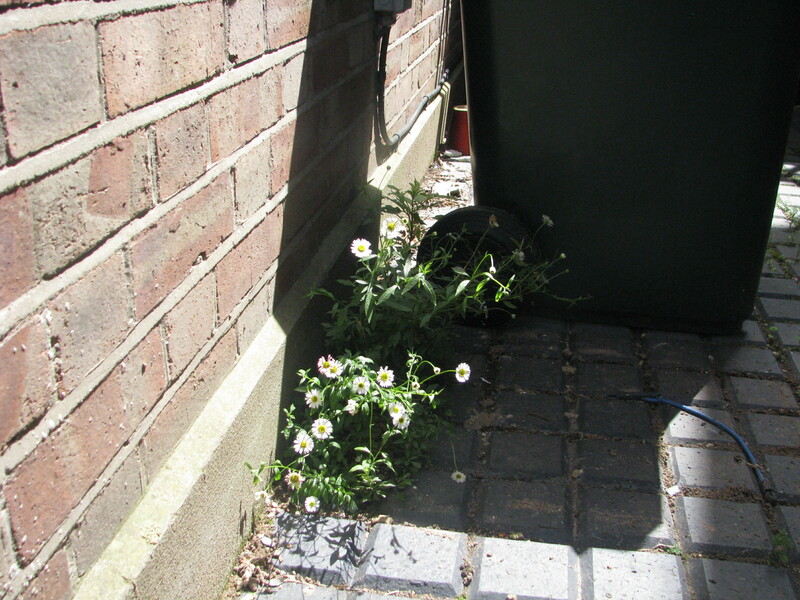 Your introduction to this pretty fleabane and set me off around Bermondsey in search – no luck, not exotic enough? too much recent unsympathetic development? Imagine my delight, this week when I spied the Mexican growing in profusion out of an ancient (1760?) wall, in Kennington, on a road that was once the carriage drive of Kings.